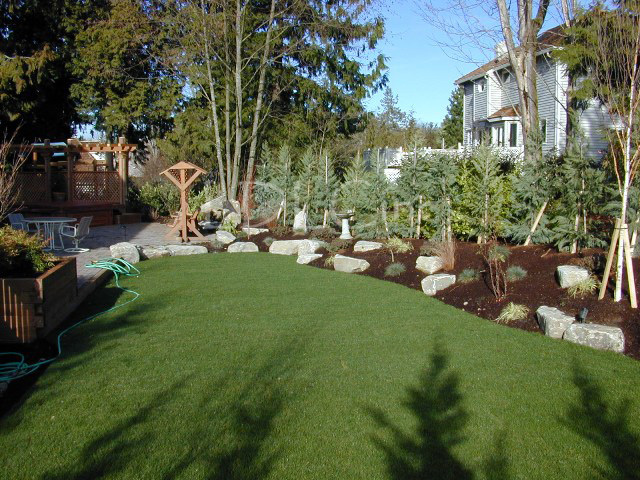 We are Landscape Design and Landscape Construction, Inc., a full service landscape company. Our goal is to provide the highest quality service at a price that is right for our clients. A new landscape is not only an investment in the image of a site, but also in the value of a site. Any landscape company can plant trees and flowers to make a site look better. It is our belief, however, that it takes time to put thought into the design of a site. Our designers take pride in the fact that the end product has been thoughtfully planned and crafted with attention to detail. Ultimately, this leads to a landscape which is both valuable to the client, and which is enjoyable to behold and be a part of. We have been servicing clients here in the Northwest for more than 25 years. Over this period of time, we have come to know that our clients appreciate a friendly, knowledgeable, and professional staff. That is why all of our designers have received a formal education in the field of Landscape Architecture, and all of our installation work is supervised by someone with at least three years experience in the landscaping trade. We feel that these attributed make us the most qualified company to complete the job efficiently while satisfying the client's needs. Landscape Design & Landscape Construction, Inc. has the knowledge and experience to offer a wide variety of services to our residential and commercial clients. We look forward to the opportunity to meet you and familiarize you with these many services we provide.